Are you looking for a more natural way to obtain relief for common ailments? The Ultimate Collection Of Herbal Tea Remedies is your answer. Inside you will find a wide selection of recipes for herbal teas that will have you feeling better in no time. Can’t Sleep? Insomnia Tea is the answer. 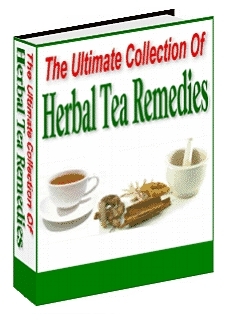 In The Ultimate Collection Of Herbal Tea Remedies you will find these and many more recipes made from natures plants. Why fill your body with man-made chemicals and risk the side-effects that many drugs can have, when you can use natural remedies?